The revered Lookout! Records may have called it quits in 2012, but it will be celebrated with a festival this January. 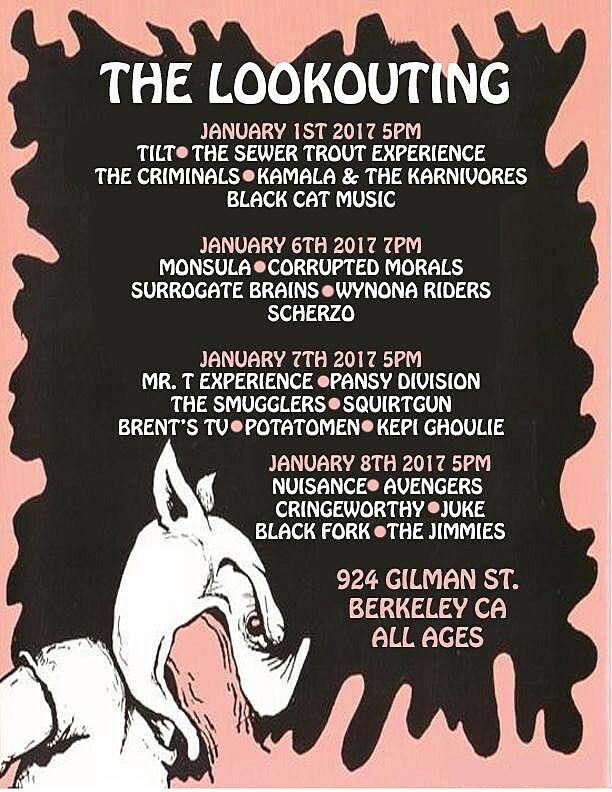 It goes down at legendary Berkeley, CA club 924 Gilman, where tons of Lookout! bands got their start. Tilt, who have been broken up for a while besides a one-off reunion for the Fat Wreck Chords 25th anniversary in 2015, are reuniting again for this fest. There’s also tons of other cool stuff like The Mr. T Experience, Pansy Division, Avengers, The Smugglers, Kepi Ghoulie, The Sewer Trout Experience, The Crimminals, Monsula, Corrupted Morals, Squirtgun and more. The whole thing goes down January 1, 6, 7 and 8. Tickets are on sale now. Full lineup below. In related news, The Mr. T Experience returned last month with their first album in 12 years, King Dork Approximately: The Album. It’s a companion album to MTX frontman Dr. Frank’s latest book King Dork Approximately. Listen to two tracks below. A few weeks ago, we published a list of ten of the most essential Lookout! Records albums.